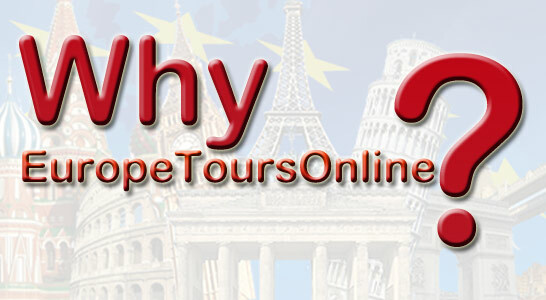 Why choose Europe tours online? With our broad range of destinations and properties, plus a host of transport options, we can create the perfect holiday for you by tailoring it to suit your exact requirements. 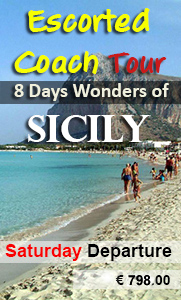 In addition, our special offers, some exclusive to Europe tours online, bring you the best in value for money. As our lives become busier, frequent short breaks are becoming increasingly popular and to meet this growing demand we have put a greater emphasis on flexibility. Choose our flexi prices and decide how long you want to stay and what day of the week you prefer to travel. We offer competitive rates at hotels , apartments and Villas. All round quality and value hotels from simple 3 star, to 5 star deluxe properties. Flexible durations (depending on the hotel's minimum stay requirement). We offer a choice of flights from our reputable charter services, to scheduled flights with major airlines. The option to fly into one airport and back from another - perfect for multi-centre holidays. Rail travel to, and with in Europe. Flexible car hire with free drop-off and pick-up at different locations (a limited number of groups and locations are excluded). Private transfers, to and from, the airport or train station. Flowers, fruit or wine placed in your room to welcome you. We are dedicated to providing the highest level of service and our well-informed travel centre will arrange a holiday that meets all your requirements and expectations. Once there, you will be able to benefit from our Concierge Service for advice and assistance, 24 hours a day, 7 days a week. Book with us confident in the knowledge that the standard of your holiday is assured. •	The combined knowledge within our company is immense. Just imagine knowing a country virtually inside out - the hotels, transfer companies, airports, roads, railway network, geography, ports, the operational aspects, the climate and the individuals who run the hotels and villas. Feel comfortable about your travel with us.